Do you feel stuck? Do you struggle with anxiety, depression, insomnia, headaches, pain, acid reflux, irritable bowel syndrome, or high blood pressure? These can all be physical manifestations of unrest. It could be your job, a toxic relationship, your environment, or even a self-limiting mindset that’s causing your body to scream out that something is seriously wrong — something you need to QUIT. 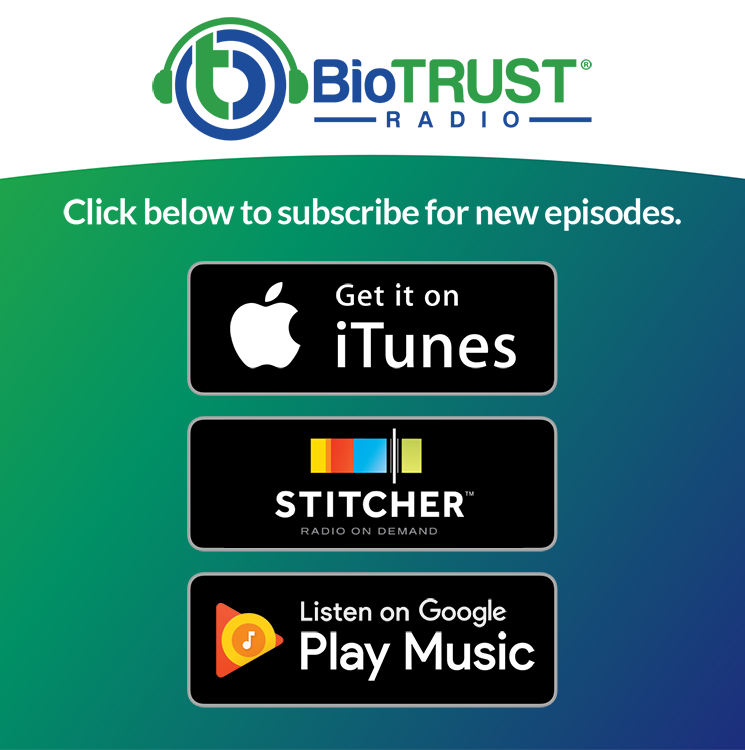 In this episode of BioTrust Radio, we interview Dr. Lynn Marie Morski, The Quitting Evangelist, whose mission is to help people like you live successful lives through strategic quitting. Enjoy! Dr. Morski began her professional life as a multimedia designer, then made a major shift and embarked on a medical career which began at St. Louis University School of Medicine, then continued with family medicine residency at the Mayo Clinic and a sports medicine fellowship at the University of Arizona. During this time, she was published in the American Journal of Family Medicine and presented at an International meeting of the American Society for Sports Medicine. We’ll discuss these topics and much, much more! And how about you? Have you ever strategically quit anything? Is there something weighing you down that you realize you need to quit? Let us know and let us know if you need help.